Xiaomi has just announced in India a new range of Smartphone’s, the Poco. The first of this range is the Pocophone F1, a device with a tempting technical sheet and a reduced price, which will be officially announced in France next week. Third-party brands such as Honor (Huawei) or OnePlus (Oppo) from major manufacturers are obviously emulated. Here is today that Xiaomi announces a new range of smartphones different from what the Chinese manufacturer usually produces, the Pocophones. Xiaomi has long insisted that these devices were made by a team different from its other smartphones and that this team was starting from scratch for their design. The Pocophone F1 is the first of them and is presented as yet another flagship-killer. Understand that the data sheet of the Smartphone is muscular, but its price is well below the rates found in the niche of high-end. Specifically, the Pocophone F1 is a new device with a 19: 9 slot screen, with a LCD screen of 6.18 inches diagonal and Full HD + definition. Xiaomi, however, indicated that it is possible to logically hide the notch to no longer see it. No big surprises for the rest of the design, we find a plastic shell (sorry, polycarbonate) slightly rounded with two photo sensors and a fingerprint sensor. The USB Type-C port just like the port jack responds well. The physical buttons for volume control and standby are located on the right edge. 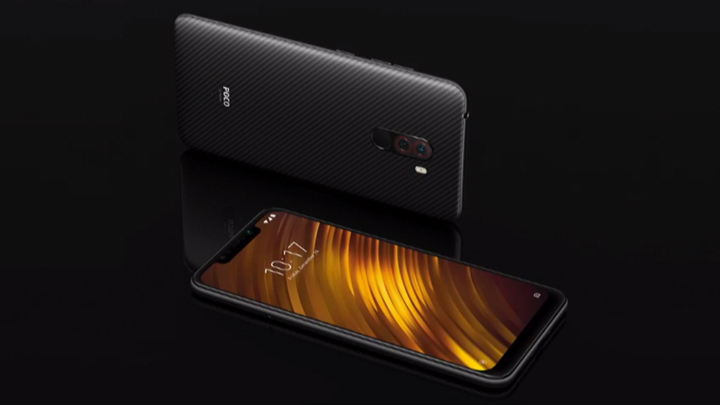 Note that Xiaomi has planned a version of the Pocophone F1 with a Kevlar back, in an edition named Armored Edition. Why not. Finally, note that the Pocophone will run a modified version of MIUI, the traditional interface of Xiaomi Smartphone’s. This modified version will take the name of Poco Launcher and will focus on speed and accessibility. We should find an application drawer and internal search engine applications. The Pocophone F1 is installed on Android 8.1 Oreo and will be entitled to an update to Android Pie by the end of the year. In version 64 GB of storage and 4 GB of RAM, the Pocophone F1 will be sold 20 999 rupees. In version 128 GB of storage and 6 GB of RAM, the Pocophone F1 will be sold 23 999 rupees. In 256GB version of storage and 8GB of RAM, the Pocophone F1 will be sold 28,999 rupees. Finally the Armored Edition will be sold 29,999 rupees.